Used by many pros on the PBA tour, this wrist support fits and feels like a glove. Lightweight, but firm due to it's metal support system, the wristmaster maintains wrist in the proper "in line" position. Its form-fitting, contour design shapes accurately to wrist, palm and forearm. Thanks for the question! The Master Wrist Mate is a wrist support with extended length at fingers and forearm support that provides more lift and power for maximum pin action. I hope this helps! 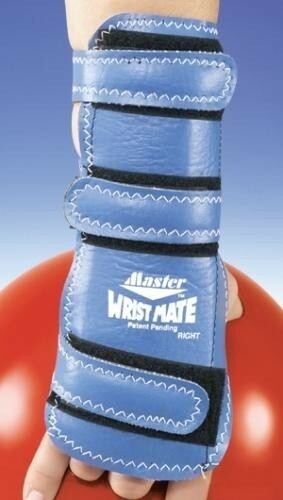 Due to the time it takes to produce the Master Wrist Mate Left Hand ball it will ship in immediately. We cannot ship this ball outside the United States.